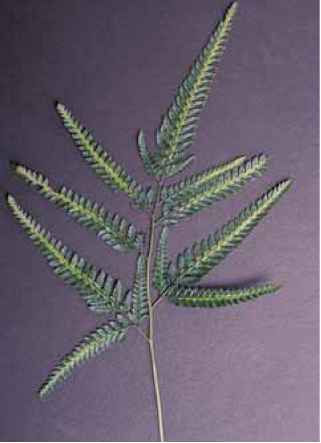 Epithet means "simpler," referring to the fronds which are less finely divided than those of A. aristata. 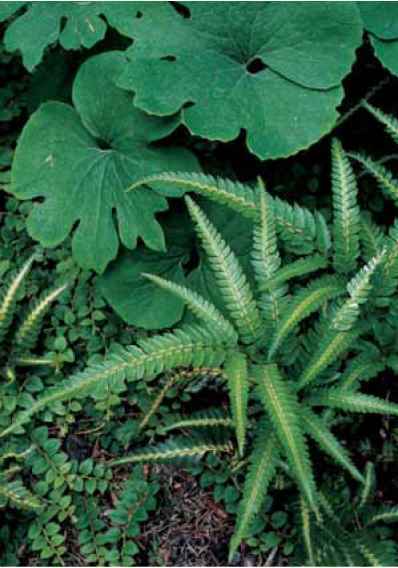 Evergreen, 1 to 2 ft. (30 to 60 cm).Zones 7 to 9.
description: The rhizome is long-creeping, producing fronds periodically. The plant is not bushy in the pacific Northwest. 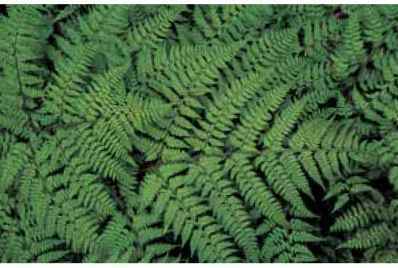 The tannish-green stipes with dark basal scales are upwards of one-half of the frond length. Thick radiant blades are bipinnate daggers with expansive two to five lower pairs of pinnae sweeping out well beyond the ultimate, contracted upper pinnae. Greatly extended lower innermost basal pinnules and slightly expanded upward-facing pinnules make the fern look ready to take flight. They also simplify the identification process. in cultivated material, the rachis and pinnae midribs are highlighted with a creamy stripe, one of the few temperate ferns to be variegated. The sori with kidney-shaped indusia are medial. range and habitat: This species is native to the woodlands of China and Japan and has escaped in South Carolina in the United States. It is definitely not an invasive threat to the surrounding environment. Arachniodes simplicior with its leathery foliage and creamy medial stripe at the Rhododendron Species Botanical Garden. Triangular fronds of Arachniodes miqueliana in the Mickel garden. 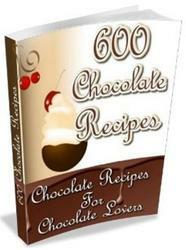 popular with slugs. The tough, mature foliage is quite resistant, however. It is also a stress-free indoor plant. Give it good light and a bit of room to roam. 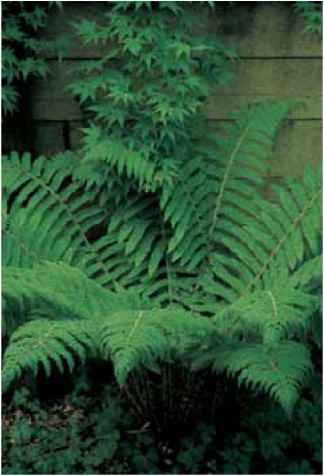 It is occasionally offered under the name Arachniodes aristata 'Variegata'. 'Major', with more pairs of pinnae, shares the sheen of the species but not the variegation. This variety provides an attractive glow in the company of soft pale greens. Frond of Arachniodes simplicior with a silhouette typical of the genus. Long plumes of Arachniodes standishii reach into the landscape in the garden of the late Roy Davidson.